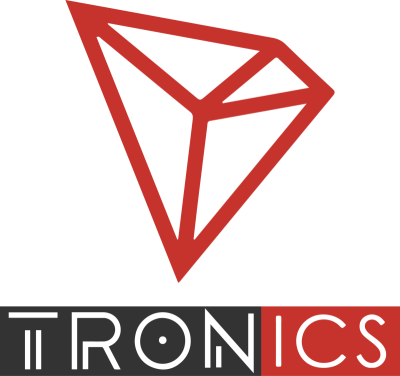 Tronix (TRX) is the official currency of TRON, which aims to be a decentralized entertainment content sharing platform eventually leveraging blockchain and peer-to-peer (p2p) network technology. Founded by a non-profit Singapore-based foundation, the Tron Foundation seeks to tackle the global entertainment industry – currently valued at $1 trillion. According to its whitepaper, “TRON’s team members are followers of Sir Tim Berners-Lee, who are convinced that protocol, from the moment of its invention, is an asset for human beings, rather than a profit-making tool for small groups.” Tim Berners-Lee is the founder of the World Wide Web. 4. Infrastructure to allow distributed digital assets exchange (such as games) and market forecasting. The Tron 20 Token will hold value and allow individual content owners to make custom tokens on the platform, similar to the cryptocurrency Waves. It should be noted that the TRON 20 Token is not the same as Tronix, which is the medium of exchange on the platform. With the company seeking long-term investment and pushing away those investors looking to make a quick profit, the TRX token themselves will be able to be locked away to gain TP. Doing so will give users upward mobility in the ecosystem with power moves such as voting rights and higher status. The longer your tokens are locked away, the more TP TRON will reward you. This is a long-term project with a set of phases beginning with Exodus in 2017 and ultimately leading to Eternity in 2023. Below are the key features of each stage. 1. Exodus: The free platform for peer to peer distribution, storage, and content. Steps 5 and 6 both look to further the ability to decentralize the gaming industry. They allow developers to build gaming platforms freely and then achieve monetary incentives upon establishment of said games. TRON is particularly ambitious. Its scope includes the implementation of many blockchain technologies that are still technically experimental today including something similar to the entire Ethereum platform. The team is trying to accomplish this over the next 8-10 years. Presently, we are occupying the first phase Exodus. Exodus aims to provide simple distributed file sharing built on top of something similar to IPFS. Therefore TRON is not technically leveraging any blockchain technology in its current platform. However, this is set to change with the advent of the 2nd phase. Odyssey, the next stage, attempts to incentivize early adoption and creation of a proprietary community of content creators and consumers with something akin to a proof of stake model. The scale of reimbursement for creation is linked to a metric with a related tipping scheme as opposed to simple views or clicks. Views and clicks are not ideal as they can be reproduced en masse by click farms or bots. The 3rd phase (Great Voyage) and 4th phase (Apollo) look to enable content creators to offer a stake in a potential personal brand through “individual ICO’s” or branded tokens. For this, TRON will have to develop its own blockchain application platform similar to that of Ethereum with a Turing complete language for smart contracts. However, TRON admits it may face some of the same problems Ethereum, such as network congestion as a result of ICO launches. A side effect could be that the network will not be able to properly vet/validate the trustworthiness of each of the vast number of unique tokens. Additionally, Tron’s whitepaper does not give detail to how Sybil attacks or exchange account hacks may be prevented on the network. It only briefly mentions the need for and planned implementation of a decentralized exchange for these tokens as an effort to mitigate some of these potential threats. Star Trek is the fifth stage of TRON and seeks to emulate something similar to Augur with a decentralized forecasting and gaming platform. Eternity, the final stage, envisions the ability to fundraise and monetize based on the community growth. Ultimately TRON’s core technology will be based largely on the adaptation of IPFS and the Ethereum platform. Much of what TRON is attempting to consolidate is being done by different projects and mutually exclusive entities. The date of ICO for TRX was between August 3, 2017, and August 24, 2017. · former chief representative of Ripple China. TRON is already well supported by top Chinese developers on its team yet is continually expanding its employee base with members with veteran technical expertise such as Maorong Lin and Xiadong Xie. Together, the two employees bring years of technical development experience in the entertainment industry and internet commerce. TRON is backed by notable members of the Chinese business community such as Hitters Xu (founder of Nebulas), Tang Binsen (founder of mobile game Clash of Kings), Xue Manzi (famous Chinese angel investor), Chaoyong Wang (founder of China Equity Group with $2 billion market value), Dai Wei (CEO of OFO bike), Huobi.com, and many more. Furthermore, TRON is in the process of transferring TRX onto the Peiwo APP. This would give its 10 million users the ability to exchange the token back and forth. While TRON will support all kinds of virtual currencies, TRX will be the official one. With this, all other currencies will have to be converted through TRX.